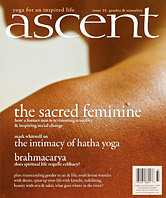 ascent magazine - yoga for an inspired life. Music by Ragleela. Watch for a review of their latest album in ascent's next issue (Elements).